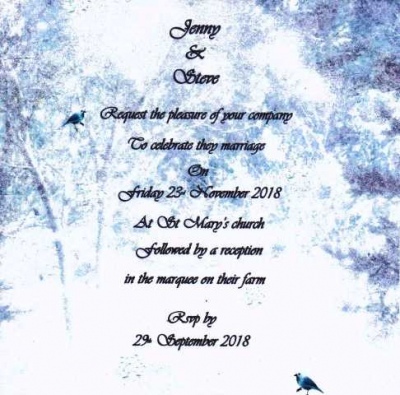 Winter wonderland bird wedding invitation. A printed frosty woodland background with 2 birds to finish this design. Measures approx 12.5cm x 12.5cm. Complete with all your wedding details printed including your guests names if required.